We are excited to announce that we are launching the first of hopefully many ‘Tax Clinics’ from September. These will range from one to one meetings to informative seminars. 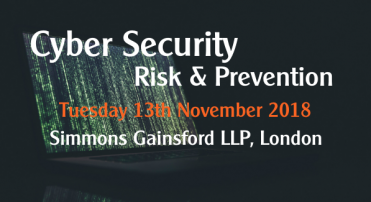 The first of these events will be held at our Simmons Gainsford office in Uckfield, East Sussex. 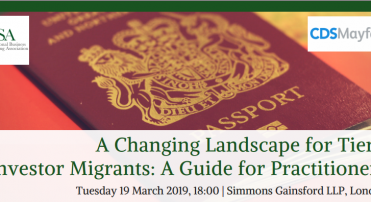 If you are new to Simmons Gainsford and would like to come in, or know of any friends/family/contacts that would be interested in some advice, then please come along! 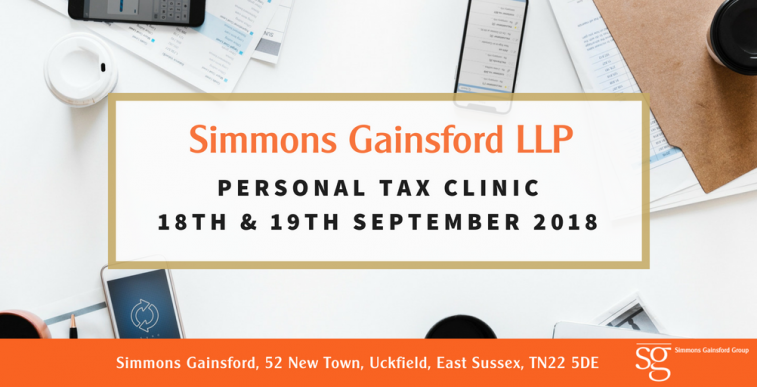 Peter Langridge, the Personal Tax Manager of Simmons Gainsford Uckfield will be hosting the first event which will simply be an opportunity for you to come in and have a friendly, informal and complimentary initial consultation up to 30 minutes where we can discuss any personal tax related matters and queries you may have. Meetings will be by appointment only and we would encourage early bookings to avoid disappointment as the time slots available will fill rapidly. 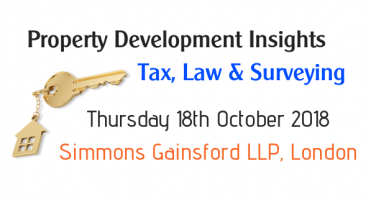 This event will be held on Tuesday 18 and Wednesday 19 September 2018 from 09:00 – 16:30, in 30-minute slots each day at 52 New Town, Uckfield, TN22 5DE. 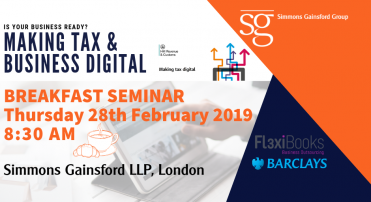 Of course, should you have any questions in the meantime, then please do not hesitate to contact Peter on peter.langridge@sgllp.co.uk or one of the members of the tax team who would be delighted to assist you.